When it comes to e-commerce, countries such as the United States, the United Kingdom and Japan dominate in terms of overall sales and activity, but Australia is quickly catching up with regard to adoption and entrepreneurship. 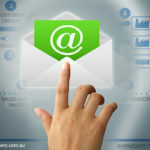 More than 85 percent of Australians were connected to the internet as of late 2017, and nearly 13 million were active on various online social networks. Traditional retail chains such as Woolworths and Coles have been enjoying substantial success after establishing retail shopping websites, and the proof is in the statistics: Australia is ranked at number 10 on the list of most active e-commerce nations. By the year 2020, the value of the e-commerce market in Australia is expected to surpass AU $33 billion, which translates into about US $5,000 spent per shopper each year. There is a fundamental reason why e-commerce sales will reach these figures in the next few years: the Australian economy has been posting very prosperous numbers since 2010, and this positive economic climate could continue well into the next decade. 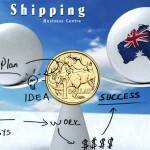 As for e-commerce entrepreneurship, Australians were a bit slow to catch on in comparison to their British and American counterparts, particularly with regard to drop shipping; however, this is no longer the situation. If anything, Australian drop shippers have moved too quickly in the wrong direction. In May 2018, the e-commerce business community in Australia was surprised to learn that eBay implemented a policy that drove a dagger right into the heart of many dropshippers: third-party fulfillment became a prohibited activity, particularly when the goods delivered come from other retailers such as Amazon. Since quite a few dropshippers follow the strategy of choosing products sold on Amazon to list on eBay, this new policy seems to be geared towards cracking down on arbitrage and on sellers who use specialized software to automate the dropshipping process. As can be expected, news reports about the eBay restriction in Australia traveled fast. As of May 2018, internet forums dedicated to e-commerce topics were awash with long threads discussing the issue; as can be expected, many dropshippers felt that they were being unjustly targeted by a draconian policy, however, a few online sellers felt that the measure was justified to a certain extent. To understand the eBay-Amazon situation in Australia, it is important to take a critical look at the interplay of arbitrage and drop shipping as it should apply to e-commerce. First of all, eBay is but one of many online retail platforms available to dropshippers; it so happens to be very popular in Australia, but it still falls far below the sales volume of Amazon. Second, drop shipping is probably bigger on Amazon than on eBay, but the arbitrage opportunities are greater on the latter. The problem is that Australian dropshippers are getting a bad reputation because a few of them are operating on a notoriously lazy manner. We all know about the typical complaint of shoppers who purchased goods from eBay and were surprised to see an Amazon parcel delivered to their homes; many curious shoppers went on Amazon to search for the items they received and found them at lower prices. Naturally, this not only causes returns and negative reviews for Amazon sellers but also a bad reputation for dropshippers who refuse to provide customer service. What ends up happening is that the drop shipping community starts being singled out as the bad guys of e-commerce. As previously mentioned, the Amazon to eBay strategy is preferred among many dropshippers because there is an assumption that shoppers will not check for products on both sites, and this opens the arbitrage door to potential profits. There is also the aforementioned fact about eBay’s popularity among Australians who still regard it as a place where they can get good deals; this dynamic works opposite in the United States, where Amazon is perceived as a superior e-commerce platform. * An old school dropshipper will purchase the item from Amazon and have it shipped to her home where she will repackage it and send it off as a parcel to the shopper. * A software dropshipper will let the application choose the best deal stocked at a Fulfillment by Amazon center and the shopper will get a parcel with Amazon logos for something she purchased on eBay. In both cases, the dropshipper hopes to profit from arbitrage, meaning that she is purchasing from Amazon at a lower price and selling on eBay at higher price; this is the fundamental motivation behind dropshipping. Inventory is not a concern in either case, but the old school dropshipper has an opportunity that the software dropshipper doesn’t: during the repackaging stage, branding can be inserted into the parcel. Small gifts such as makeup brushes can be included along with an invitation to contact customer service or to visit another e-commerce site to look at even more cosmetics. The software dropshipper takes a risk shipping an Amazon parcel that can prompt the shopper to return the item if she sees that it is listed at better prices, or if she finds that it is part of a package deal whereby she can buy one kit and get a second one for free. There is no opportunity for branding or offering customer service, and the sad fact of it all is that the software dropshipper never intended to offer customer service in the first place. The latter kind of software dropshippers are the bad apples of the Australian e-commerce sector, and they are not limited to eBay. On the third-party Amazon Marketplace, dropshippers are being lumped with counterfeiters and other rogue sellers. 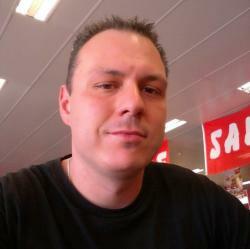 In a British online community of Amazon sellers, a few forum members called out a specific Australian dropshipper by name: BuyGlobal, who has 10 million listings on Amazon.com.au. It does not take any special knowledge of e-commerce to figure out that someone like BuyGlobal does not really have 10 million items sitting at warehouses or at Fulfillment by Amazon centers. There is not a chance that BuyGlobal sat down at a kitchen table in Perth and clicked on 10 million Amazon product listings on a laptop and added them to his or her Seller Central account. 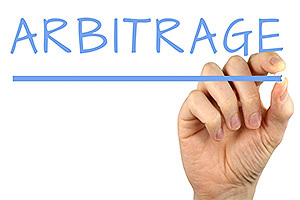 It is clear that BuyGlobal is using dropshipping software that identifies arbitrage opportunities by querying the Amazon API. There is nothing wrong with using dropshipping software; in fact, most newcomers start their e-commerce ventures in this fashion. The problem is when dropshippers are completely hands-off, let the software do everything, plagiarize listings, refuse to provide customer service, and do not contact sellers to inquire about partnership opportunities. One of the leading providers of dropshipping software based in Israel has approached eBay in Australia to address the situation as it relates to banning third-party shipments originating from Amazon. The software developer argues that eBay is unjustly cracking down on sellers who thrive on arbitrage, which is an essential aspect of e-commerce. For its part, eBay states that the move was prompted by repeated complaints from shoppers who feel that they are being misled. Many Amazon sellers have actually welcomed eBay’s position; these are mostly sellers who believe that their product listings are being copied and pasted onto eBay with little benefit to e-commerce participants. What irks Amazon sellers the most is having to deal with returns and negative reviews from shoppers, but there is also the issue of copyright infringement. Even though product listings on Amazon do not actually belong to sellers, certain elements such as the product description, pictures and logos are intellectual property protected by copyright laws. When dropshippers lift product listings from Amazon and put them up on eBay, they are effectively engaging in infringement if they are not authorized distributors. Dropshipping software is not to blame in the eBay debacle; the problem is created by dropshippers who do not bother to follow good e-commerce practices. In the United States, Amazon has introduced programs such as Brand Registry and Brand Gating, which are designed to place barriers against unauthorized sellers and counterfeiters. Even though Amazon actually encourages dropshipping within its third-party marketplace, it does not tolerate unauthorized use of its product listings, particularly when they infringe upon copyright. Amazon sellers who have a negative view of dropshippers often complain that they are never approached with proposals to become retail partners. These are the same sellers who complain that dropshippers are unresponsive and defiant when they are approached about potential partnerships, and this is where many Australian dropshippers are missing the point. After a series of negative news articles on major business media outlets such as Forbes and Entrepreneur, American dropshippers who operate on the Amazon Marketplace are finding even more restrictions. Subscription services that monitor product listings are now sending sellers notifications whenever unauthorized merchants, which may include dropshippers, piggyback on their products without prior approval. These services also generate cease-and-desist letters that can be used to report non-compliant dropshippers to Amazon Seller Support and the legal department, which can in turn result in a suspension from the third-party marketplace. Even when suspended from the Amazon Marketplace, software dropshippers can still try to sell on eBay, but this option has been hampered by the new policy against third-party shipping. It is very likely that software dropshippers will eventually find a way around this Australian eBay restriction, but this will only add to the negative perception by Amazon sellers. On one hand, it is easy to understand the position of shoppers who feel cheated by paying more for eBay items they could have obtained themselves from Amazon. On the other hand, software dropshippers who caused the eBay restriction only have themselves to blame for this situation. * Amazon sellers who are conscious about branding will want distributors to adhere to certain retail guidelines and rules. Many of these sellers have distribution partners whom they have approved and are happy to work with because they follow the rules. * Manufacturers and white label distributors do not want to deal with third-party sellers who post inaccurate product descriptions that may confuse shoppers. * Sellers do not want to see terrible images of their products on eBay, Amazon or any other online retail platform. * Sellers want to exert some control over the brands they have worked hard to develop. * Good relationships are crucial to e-commerce success. The dropshippers who are making good money on Amazon, eBay, Ali Express, or with their own online stores are not the hands-off types who spend a few minutes each week messing around with the settings and parameters of their dropshipping software; successful dropshippers will take time to forge solid relationships with their suppliers. 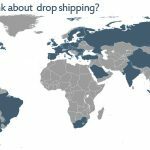 Plenty of Amazon sellers will be eager to supply dropshippers, but they will like to know who they are dealing with. Dropshippers have to understand that there is more to e-commerce than arbitrage and software that automates online retail transactions. The underlying premise of dropshipping is that prospects can get started with zero inventory and without having to worry about logistics; in other words, many of the traditional barriers to e-commerce entry are eliminated. The right way to approach dropshipping is to take account of the opportunities offered by technology and the burgeoning affinity for online shopping not just in Australia but around the world. The right way is to not become fixated on the Amazon to eBay cycle promised by dropshipping software vendors; the right way is to approach the e-commerce market like Brynley King has done with her Banaban Virgin Coconut Oil business. Brynley King is a young and stylish woman in her mid-20s. In 2016, King was the subject of a business feature published by the news.com.au media portal; the story was centered on how her embrace of e-commerce translated into a business that currently generates $6 million in annual sales. This being the 21st century, the story just had to mention King’s status as a member of the Millennial Generation, but this is largely irrelevant to the path she followed as she entered the e-commerce world. King got her start on eBay at the age of 12; she mostly watched her mother try to make a business out of a very small coconut oil distribution scheme in 2004. King did not believe that her mother’s ambitious plan to put cononut oil on the map would ever venture beyond the garage of their modest Gold Coast home. Years later, King’s mother realized that she had a better shot at e-commerce growth on the nascent Alibaba.com B2B platform. The King residence was mortgaged for the purpose of making a capital investment on equipment, business supplies and inventory; by 2011, King remembers sales of about five bottles per day, but this never discouraged her mother, who was fully dedicated to marketing her company. This dedication paid off when a segment on “A Current Affair” featured a bottle of Banaban coconut oil, which immediately increased sales fivefold. Upgrading e-commerce platforms from eBay to Alibaba.com was exactly what King and her parents needed to really upgrade their online business. After a few months, potential distributors, some of them dropshippers, began placing large orders, and their clients were not limited to Australia; their first major supplier agreement came from a chain of supermarkets in Spain. Aside from coconut oil, the company now offers a line of body care products manufactured by 30 employees. Although the King family is no longer in the dropshipping business, they have not forgotten that they started with virtually no inventory; their significant milestones involved tenacity in terms of marketing, recognizing the B2B opportunity when they opened their Alibaba.com online shop, and the desire to make the most out of their e-commerce experience. Perhaps a better example of dropshipping success is Melvin Chee, another Australian member of the Millennial Generation whose venture into the e-commerce world took him from zero inventory to more than $100,000 in sales in just six months. Chee is from Melbourne, and his story was featured by tech publication The Next Web two years ago. What prompted Chee to become a dropshipper was an e-commerce discussion that he came across on a Facebook Group he followed. 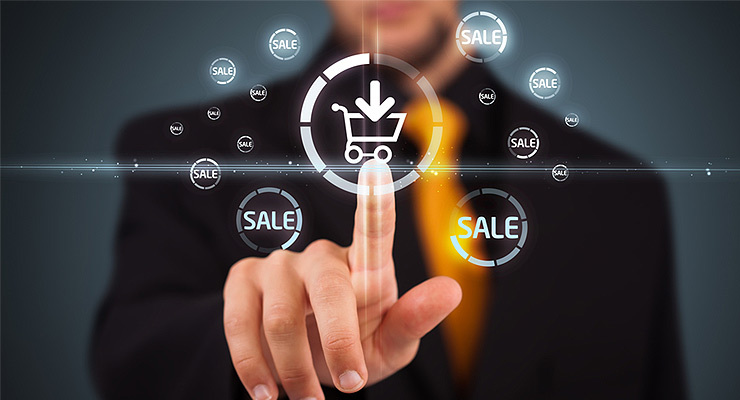 He was new to the world of online retail sales but was not impressed with what he learned about dropshipping software; he was far more interested in the traditional model of setting up an e-commerce website, choosing a back office platform and connecting with a solid supplier. As far as marketing, Chee was already familiar with building up web traffic through organic search engine optimization, and thus he leveraged those skills to build his brand, attract prospects and convert them into buyers and returning customers. Chee was also aware that dropshipping meant never having to see or handle products, but he still visualized the logistics process each time he looked at his dashboard. Like other dropshippers, Chee only spent about $100 to get started with his website and online retail platforms; he did everything else pretty much by the book. He settled on selling clothing that would appeal to people who shared his sense of style, and he made this decision because he knew that it would be easier to develop with regard to marketing. His next step involved choosing products to promote on his Instagram account, which he cultivated by means of using the right #hashtags and engaging with users who were interested in hip and trendy clothing. Now that Chee is a successful dropshipper, he recommends starting out small but with focused dedication. Trying to list 10 million Amazon products like the BuyGlobal example above is not the right way to approach dropshipping. Chee does not recommend spending a lot of time modifying the website themes offered by major e-commerce platforms, and the same goes for the logo; there will be time to do all that later as the project matures. What new dropshippers should do is to focus on making sales happen, and this may include doing a lot of reading about e-commerce basics, strategies and trends. * The software connects to the Amazon API and reports the top selling items, preferably those that are kept in Fulfillment by Amazon centers. 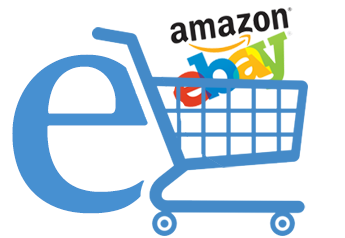 * Dropshippers choose the items they want to sell on eBay or relist on Amazon. * Product descriptions and images are copied from Amazon and pasted onto new eBay listings. The idea is that sellers have already optimized their descriptions, thus they should work on eBay as well. People who have some knowledge about e-commerce will notice that the strategy above does not mention website traffic, and the reason for this omission is that software dropshippers take for granted the massive traffic that both eBay and Amazon generate. At their most fundamental level, Amazon and eBay are not online stores; they are e-commerce search engines where millions of shoppers are constantly looking for goods. Software dropshippers may think that this is built-in traffic that they can take advantage as they apply a lazy strategy that is like shooting fish in a barrel, but this is seldom the outcome. * Analyze popular content regularly posted on Instagram. * Build up Instagram traffic through clever posts, viral content and engagement. Some examples include trivia posts with call-to-action proposals such as tagging and sharing. * Redirect Instagram traffic to Facebook for the purpose of introducing prospects to the online store. Here is where more marketing magic takes place with the ultimate goal of converting prospects into buyers. * Always offer the best customer service possible. It should be noted that software dropshippers are notoriously averse to providing customer service; in fact, many of them actually avoid any semblance of offering customer support. * Focusing purely on sales since there is no reason to be concerned about inventory or logistics with a respected supplier in place. * Choosing specific niche products that can be easily marketed. Chee selected trendy clothing because he is a Millennial who understands the hipster ethos; he can build marketing campaigns that target social media groups and websites where young people who listen to Tame Impala and Arcade Fire congregate. * Marketing in a single voice that prospects can identify with. 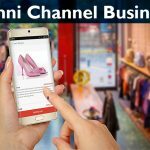 The key is to also choose the right channels; in Chee’s case, the combination of Instagram and Facebook resulted in more than 4,000 customers served in a span of six months. It may be too early to gauge the impact of the eBay restriction on third-party sales, which will certainly affect software dropshippers, at least in the beginning. There is no question that providers of dropshipping software will figure out a workaround; however, there may actually be a stronger shift towards selling on Amazon. According to Australian business publication Smart Company, Amazon is poised to become the most dominant e-commerce marketplace here and in New Zealand. In terms of traffic growth, Amazon experienced an 81 percent annual increase from 2016 to late 2017, and there has been a steady flow of sellers abandoning eBay and setting up shops on Amazon. As can be expected, software dropshippers are following the exodus towards Amazon.com.au, and the previously mentioned BuyGlobal is probably one of them. Will Amazon pose a threat to hands-on, traditional dropshippers such as Melvin Chee? Even though Chee is solidly established, there is a chance that some of his customers will be tempted to buy from Amazon, but this does not mean that online retail shops will be going away in the near future. In the United States, a country where Amazon’s dominance is approaching absolute levels, seasoned dropshippers are working with their suppliers to come up with white label collections that can be trademarked; the idea is to create a new brand that can be nurtured and developed on the Amazon Marketplace. Amazon is not necessarily the be all and end all of dropshipping. Other e-commerce platforms such as Alibaba.com and its Ali Express retail version have been surging in recent years, and there are many online shoppers who do not care for Amazon too much. What Australian dropshippers may see is a shift by suppliers towards Fulfillment by Amazon centers, and this may explain the growth of white label sellers. By the year 2024, Amazon will likely overtake Gumtree and eBay to become the most dominant e-commerce marketplace in Australia, which means that more than 20 percent of all retail purchase transactions across the country will be conducted on this platform. These statistics support the idea of more dropshippers exploring Amazon as it continues to expand, but it will take about a decade for this platform to command 50 percent of the e-commerce marketplace; this leaves considerable room for dropshipping to continue growing. Dropshipping will no longer be a simple matter of listing and praying for sales; it will require merchants to actually implement principles of e-commerce and follow developments in this field. Social selling and building a brand that is credible and dependable will be crucial aspects of success, and these are aspects that the two Australian entrepreneurs discussed in this article, Melvin Chee from Melbourne and the King family from the Gold Coast, have smartly applied. 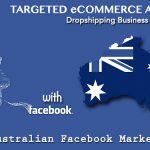 Those dropshippers who do not put an effort into growing their business will not very far in the changing e-commerce landscape of Australia. Acquiring new customers will become more costly and competitive; this will also be the case when trying to maximize the revenue that can be obtained from each customer. Newcomers have to realize that there is a learning curve involved, but they should also be encouraged by the fact that more people are choosing to go shop online. The opportunity to get started without inventory will always be there. In the end, the changes that are shaping dropshipping in Australia will benefit shoppers. E-commerce is a very customer-centric sector; dropshippers should keep in mind that companies such as Amazon are setting the pace of online shopping, and this means keeping customers happy and engaged. 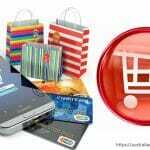 There must be a willingness to provide shoppers benefits instead of focusing on making easy sales. There will always be suppliers and logistics providers willing to work with dropshippers, and the e-commerce platforms will become more advanced, but it is up to sellers to make things happen.